After a few long winter months, your hair takes a beating in the sense that it dries up, splits, and looks a lot less healthier than it did in the summer. One thing I’ve noticed is that when there is a lack of moisture in the air, my hair gets very dry and brittle, and looks as if it’s completely broken. But, after a lot of trial and error, I’ve come up with the ultimate DIY miracle hair repair. I cannot tell you how this recipe completely changed my hair from dry, brittle, and split, to super shiny, moisturized, and soften within just one application! So what’s the secret to my DIY miracle hair repair? Pure, simple coconut oil! But it’s how you use it that yields amazing results! At first, because my hair was so extremely dry and was breaking, I was using this hair repair once a day for week. Then, I switched to twice a week, and now, after my hair finally feels and looks luscious, I apply it just once a week! So here’s how to get amazingly soft, healthy hair again with my DIY Miracle Hair Repair! You can do this a few different ways depending on your schedule. Because my hair was so wrecked, I decided to leave this on overnight, but you can also just leave the oil on for 20 minutes! 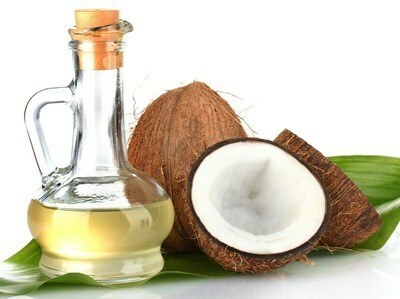 Using melted coconut oil, apply about a tablespoon onto dry, unwashed hair. Massage gently into scalp for a few minutes. This will stimulate hair growth and spread the coconut oil evenly. Wet a light, microfibre towel using hot water (be careful not to burn your hands!) and wrap it around your hair. Leave the towel on for as long as you like! If you can’t sleep with it on, leave it on for 20 minutes. Remove the towel and shampoo and condition your hair as you would normally. This is optional, but I like to rinse my hair with apple cider vinegar as it gets rid of all the residue and leaves my hair very shiny and manageable. And there you have it! 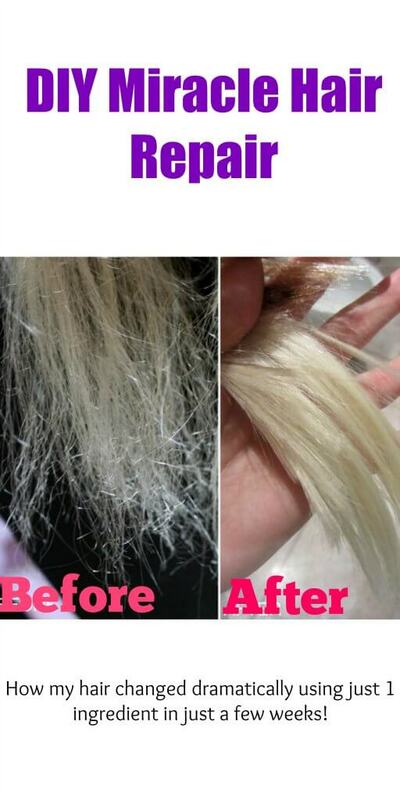 Follow this DIY Miracle Hair Repair recipe and within a week, your hair will be out of this world! Thank you, I really enjoyed the reading, I’ll definitely try! How many times a week do you do this? Really as many times as you want! 2-3 times a week would be ideal though!